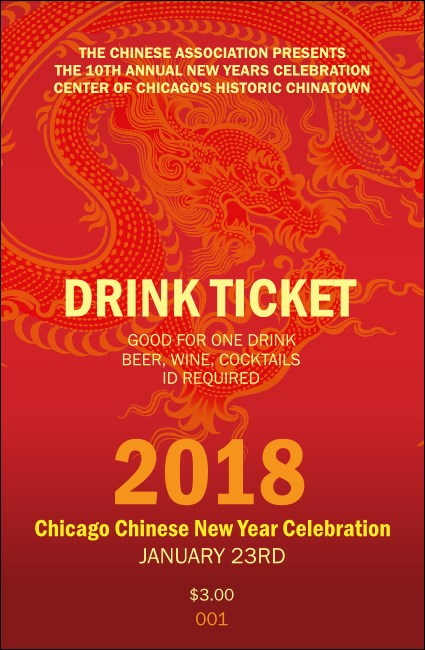 If you've washed away last year's bad luck, it's time to wash down some dumplings and new years cake with the help of this Chinese New Year Drink Ticket. Featuring a lucky red design just right for celebrating the year of the dragon or any other fortuitous event, with ten lines of red and yellow text for your details. TicketPrinting.com wishes you everlasting peace, year after year.